After experimenting with Cardboard for years, Google is now taking a more serious swing at app-based VR headsets. It started with its smartphone-powered Daydream View headset, which you can now pick up for just $49. But now Google is all about the standalone Daydream, and it all started with the Lenovo Mirage Solo. You're not going to get a PC or console experience, but it's still great fun and a good entry into the world of VR. If you've got a Mirage Solo, you also get the benefit of ease of use. Just pull the headset off your coffee table, put it on and you're good to go. We've spent some good time with Daydream apps on both the Mirage Solo and Daydream View. We know it can be intimidating to find good apps, so we've put together this list of the games and apps to download first. This is likely one of the more simple games you can find on Daydream, but it's also one of the most challenging and fun. You play a little dude on a big planet, and you're going to have to shoot your way out of trouble. Swarms upon swarms of baddies will revolve around you. You've crash landed on a mysterious planet that seems to come alive at every corner. It looks like you're going to have to become a true space adventurer and explore this unique planet all by your lonesome - at least you've got some magic powers to wield. Plus, Eclipse has WorldSense support. VR can be a really fun place to get social, and it's even more fun when you're all living in a city inhabited by cartoon bears. Think of Beartopia like a mix between Animal Crossing and Minecraft. You can team up with other players to rebuild the lighthouse, and you also meet quirky villagers and do mundane yet addicting things like shear sheep. Escape rooms are great, frustrating fun in real life. With the ability to put you anywhere, they make a natural fit for VR too. The Other Room links up a whole bunch of escape rooms into a story that you can to solve. One of the best VR games you can play is finally available on Google Daydream. Intense, abstract visuals with great music is a tough combo to make work, but Rez Infinite VR fuses them both to create a truly immersive experience. You'll also avoid the high price of the PS VR edition, as this version has a free trial followed by in-app purchases. LegoBrickheadz Builder lets you build models as you would with a real Lego set, but with the added bonus of being able to bring them to life. You can unlock new characters and items, and best of all it's free, with not a single in-app purchase in sight. It's as fun as you'd expect Lego building in VR to be. Using the controller or your headset to aim, you'll find yourself dungeon crawling and killing demons in Hunter's Gate while trying to stay alive. The moving mechanism is weird at first, since you're relying on the controller's trackpad, but it gets easier as you go along making it a surprisingly good time. This cute little puzzler is brought to you by British indie game developer Mike Bithell (Thomas Was Alone; Volume). You play a star-seeking astronaut exploring planets and growing plants, putting that Daydream motion controller to good use. It's Minecraft meets Monument Valley. Mekorama is a charming little puzzle game in which you guide a robot through a series of obstacle courses, using the Daydream controller. It's an adaptation of the non-VR smartphone game, but the added immersion definitely gives it some extra charm. Keep Talking and Nobody Explodes is already a classic on Gear VR, Oculus Rift and HTC Vive, and now you can try it on Daydream View. The basic premise is to defuse a bomb with friends – except only you can see the bomb and only your friends have the manual. It's a… blast. Claro is a lovely, relaxing puzzler where you're moving the sun around with the controller in order to help a tree grow. Levels get more and more complicated as you go along, but there's no rush and you can enjoy the surreal landscape and calming music. A perfect entry to Google Daydream. This is a pure music experience featuring music from Bonobo. You control how the music works, which in turn controls the world. 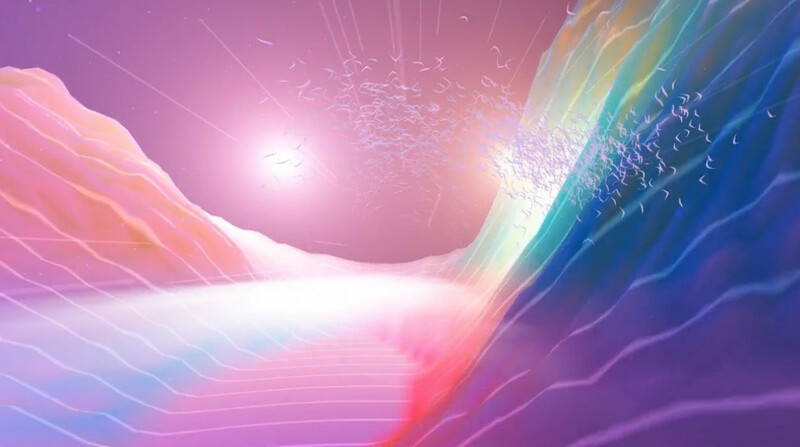 You'll find yourself soaring through some of the most trippy, abstract and beautiful worlds you'll ever see in VR. Similar to the Gear VR version of the app, Netflix VR on Daydream sadly doesn't place you in the movies. It does, however, plonk you in a lovely virtual cabin where you can watch Netflix undisturbed. It's a nice escape, and free to download, but you will of course need a Netflix subscription to use it. The NBA has been toying with VR broadcast for years, but its NBA VR app is the one that takes it to the next level. You're going to be able to head to a virtual lounge where you can watch NBA videos. There's also a feature that'll let you virtually sit with NBA legends as they talk about the game of basketball. Google's YouTube app has got stronger and stronger as the library has grown larger and larger. The interface is nice and easy to navigate, and it's a great app for showing someone some of the other possibilities of VR beyond gaming. Sometimes, escapism can be about transporting ourselves to another part of our own planet. In Google Street View, you can explore everything as you would in the desktop/mobile version, but with added 360 immersion. If you're going to use Street View and you have a Daydream headset, this is the way to do it. Just note that you launch it from the Street View app itself. This experimental interactive virtual reality film from the BBC tells the story of a young child and his creature friend as they embark on a fairytale journey. It uses the Daydream controller to help you navigate your surroundings, and the spatial soundtrack adds an extra layer of immersion when you throw on some headphones. Planet Earth and Blue Planet continue to delight and amaze us, so the BBC is going all in to bring us a similar experience in VR with BBC Earth: Life In VR. It takes you through the California Coast's underwater sealife, where you'll meet otters and whales and you'll even get to interact with the animals in a way you can't with regular old TV. This app is like Steam's Universe Sandbox lite and you don't get to create or destroy things. Okay, the emphasis is definitely on the 'lite' aspect, but it's always really cool exploring space in VR and this is the best app on Daydream to let you do just that. Google's put out some neat VR apps and this one's great for art fans. You can explore artwork, artifacts and more from over 850 museums, archives and organisations worldwide that have partnered with Google Cultural Institute to bring their collections and stories online. There are even options to zoom in for a closer look and factual tidbits if you want to learn more.